If you think an electric blower isn’t powerful, check out this one. Lightweight and high-powered, the new BGE 61 electric blower is great for cleaning up leaves and grass clippings around the home. Quite simply the most powerful electric blower you have ever used. With an unbeatable air speed and air volume, you can sweep faster, wider and heavier than ever before. The redesigned air intake fan gives this blower vac, an unparalleled vacuuming performance. 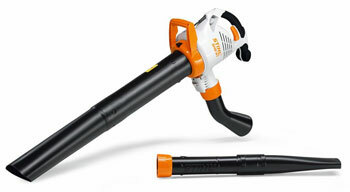 Toolless conversion from vac to blower and easy-to-hold large handles will make your clearing easier than ever. Includes blower nozzle.